The event will be held at the UPC Campus Nord, Barcelona, Spain, November 5-9, 2012, with a total duration of 25 hours. 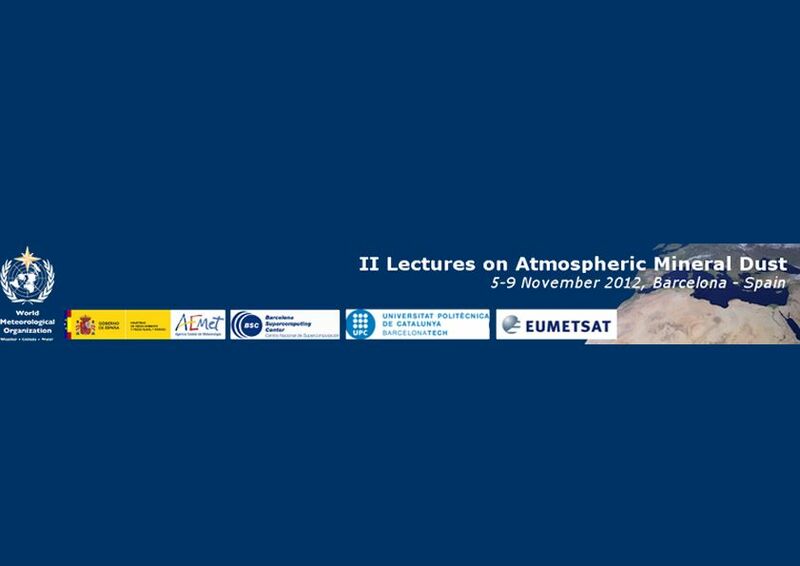 Course coordinated by the WMO SDS-WAS Regional Center for Northern Africa, Middle East and Europe; Barcelona Supercomputing Center (BSC-CNS); Agencia Estatal de Meteorología (AEMET); Universitat Politècnica de Catalunya (UPC); European Organisation for the Exploitation of Meteorological Satellites (EUMETSAT); World Meteorological Organization (WMO). The cost of the training course is 50 €. It includes the course materials. Registration will open April 16, 2012 and close September 14, 2012.